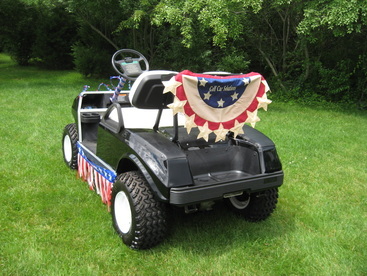 Available cars and accessories - Golf Car Solutions, Inc.
We have a variety of cars available. Please call for details or to view a car. If you are looking for something specific please let us know. We can get electric or gas cars and add any accessories. Make your car up to par! Stretch kits for all your customer needs. service your cars to keep them running smooth! WE PICK UP AND DELIVER TOO!